No, this isn't an actual recipe. But you can indeed make a soup out of KFC’s chicken and gravy. Read on to know. Remove the rice while still on its wrapping. You can set it aside on your tray for the mean time. 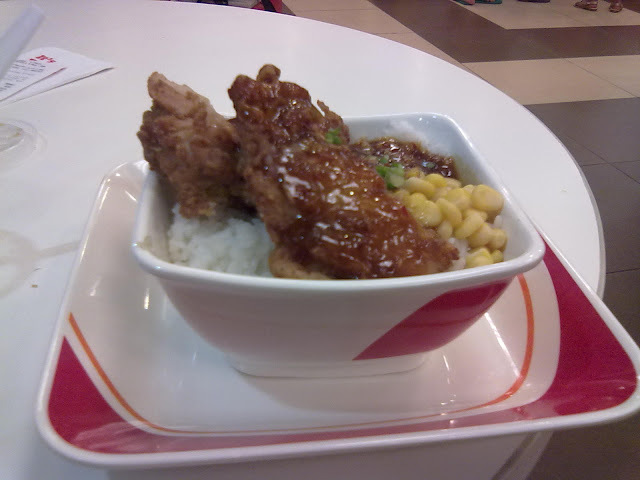 Open the rice wrapping and place the chicken piece or pieces beside the cupped rice. Get your empty plate and head over the gravy section. If you don’t have spoon and fork yet, now is the time do so as the gravy is often arranged beside the spoon, fork, and water section. 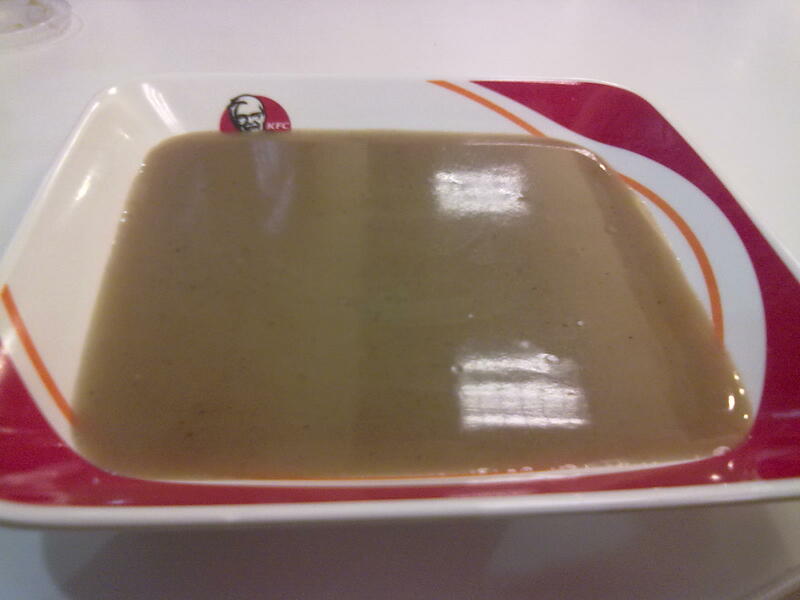 Fill your empty plate with KFC gravy up to about three quarters of the plate is filled. Don’t completely fill the plate, otherwise the gravy will overflow and may spill all over you! Slowly dip the chicken leg, wing, or breast onto the gravy-filled plate. You may also include the cupped rice along with the chicken. 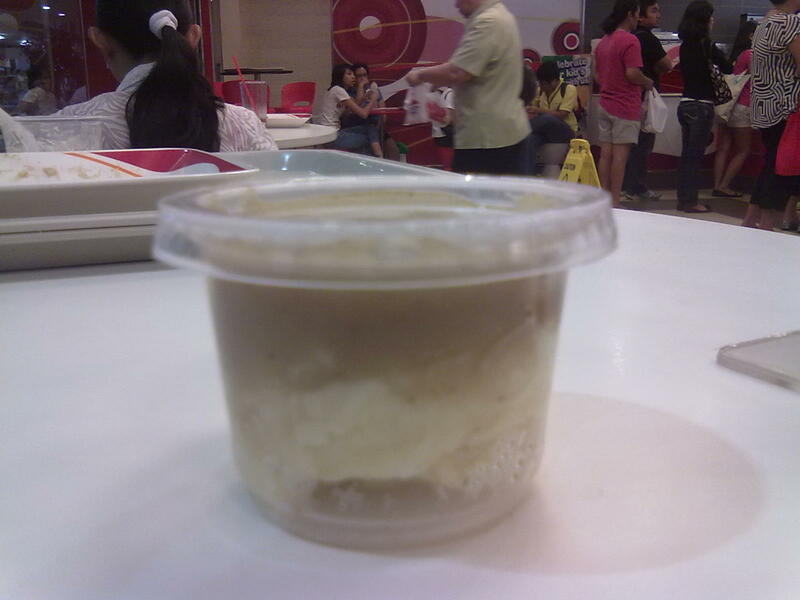 You now have your own KFC chicken and gravy soup. Not everyone will be enticed to eat chicken swimming in a gravy plate though. But I know a lot who has the appetite to do so. There’s no doubt that aside from the unique recipe for KFC’s chicken, it’s the gravy which sets it apart from other fast food chains. The gravy makes the chicken more sumptuous. You can also scoop it and gulp it down like a real soup. The gravy is even offered unlimited while most restaurants even charge an additional fee for extra gravy. As for me, I make this weird chicken and gravy combination every time we dine over KFC and order chicken. You can actually create a soup-like recipe with all other meals on the menu, as long as there’s a chicken included. You can order the usual chicken meal, wings, hot shots or fun shots, bowls, and more. 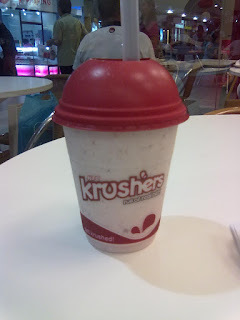 Aside from a mix of chicken and gravy, you can have it paired with one of KFC’s shake drink – Krushers. There’s one thing you can’t do, however, and that is to bring home the gravy. I think that will too much since the extra gravy is already provided for free and on an unlimited serving. But as for me, I can at least order a regular mashed potato and fill up the empty little container with gravy which I can bring home. Making the KFC chicken and gravy mix may appear somewhat abusive since it’s already free. But most stores paste a label beside the gravy container with a message saying, “unlimited gravy refill” so I believe there’s no reason not to fill your plate with an overflow of gravy refill if it does say unlimited right? If you haven’t tried this yet, you can try it now. I’m sure you will enjoy it. Get your own KFC chicken and gravy soup!